First of all, I’d like to thank everyone for all the supportive comments and posts on the whole IT@Cork Web 2.0 conference vs. CMP/O’Reilly’s legal dogs. I’d love to respond to everyone but as my son Enrique was born on Tuesday morning, I don’t have as much time to devote to this as I should. CMP/O’Reilly’s have responded on the O’Reilly website and they have faxed us through a document to sign (below). Is it just me or are they still not getting it? They are asking us to sign a document saying we won’t hold any future events with the term Web 2.0 in the title. If we run an event on Microsoft Windows, would Microsoft would send us a cease and desist letter for using their trademark in the title? Of course not, how is this any different? And why should we sign a document tying ourselves to that? UPDATE: – via Gavin I see that Twenty Major has posted an alternative response to O’Reilly’s C&D – Warning – NOT WORK SAFE. Don’t sign it Tom. Let their stupidity and arrogance be their own punishment. I would be inclined not to sign, but I’m no lawyer and not fit to give legal advice. There is a lot of support out there…. You could make a stand and have an entire global community behind you. Not that I’m asking IT@Cork to be martyrs or anything…. Unbelievable. How can companies get away with trademarking something so generic? Well done Tom. Keep fighting the good fight. When an Irish lawyer contacts you, then assume they’re serious. Until that point, wag your tail feathers in their general direction. The position they have taken may be a little fragile, considering that the application for ‘Web 2.0’ as a trademark in the EU was not filed until the 23rd March this year (see http://oami.europa.eu). Note that the mark has yet to “acquire distinctiveness” and I’d be intrigued to see how CMP can argue it has distinctive meaning in Europe, even for conferences. I don’t understand! This issue has certainly raised a storm of comments, but I call your bluff: Why would you choose an event name that was identical to an established, well-known conference if you didn’t mean to cause confusion? And if you truly do not mean to cause confusion between that established conference and your own fledgling event, why wouldn’t you gladly agree to distance your future events from theirs? Would you still call next year’s event “Web 2.0” if the intervening O’Reilly event of that name was a total disaster and a laughingstock in the industry? Let’s call it straight here. 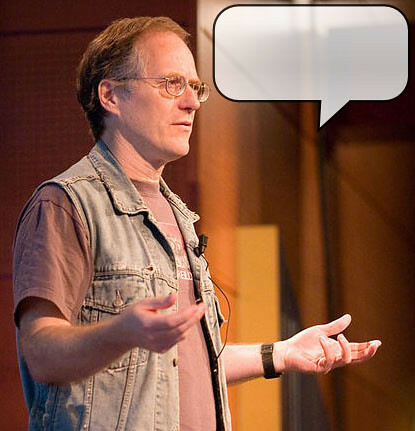 “Web 2.0” can be generic when discussing an web era but non-generic when describing an event. “Computer Dealer’s Exposition” also sounds blandly generic, but you’d never have gotten away with using that name when Comdex was in its heyday. (Full disclosure: I’m writing two books for O’Reilly, but my post would be identical if I were not). MediaLive International, Web 2.0 Conference, … and associated design marks and logos are trademarks or service marks owned or used under license by MediaLive International, Inc., and may or may not be registered in the United States and other countries. Even today, the service mark noted on the conference’s website is for Web 2.0 Conference (not just on the phrase ‘Web 2.0’). I cannot find references to service or trade marks other than for O’Reilly in the press releases. If they don’t know what they’re trying to protect, they’re going to have trouble protecting it. Tell them politely to shove it. Until their trademark application is accepted at EU level they have zero rights or jurisdiction here. It’s typical of the legal departments of US companies that forget that Europe and Ireland are NOT part of the US and that US law has no jurisdiction here. Chris Tyler – you are correct, You don’t understand. Hi Tom – DON’T SIGN. You’ve nothing to defend – Ireland is not the 51st state – not last time I heard anyway. As more comes to light it seems that they really planned this memegrab from the outset. Its a kinda clever hack exploiting goodwill and trust and all – very black hat. I don’t know. That sounds very fair. Sounds like they passed the jerk baton to you. So, change your name to “Web 2.0 Symposium” or “Web 2.0 Workshop” and then you’ll stop getting emails. Or, make it “IT@Cork’s Web 2.0 Workshop.” That definitely removes all confusion (part of trademark fights is whether or not it could potentially confuse anyone). It’s Creative Commons licensed and all, feel free to use it all you like! That rules out Web2, Web 2.1, and probably rules out Web 2.0 Symposium as well. 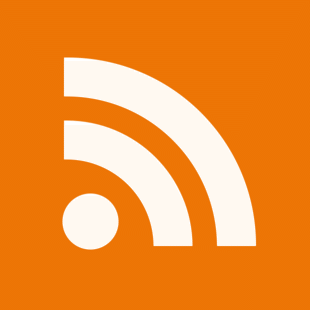 I agree with Keith – change the name as Scoble suggests and get on back to enjoying life with your new baby. There are more important things here than getting swept up in this maelstorm. I have a feeling the event will be well attended now though – wish I could make it over myself but we have prior commitments here in the valley. Keep fighting the good fight. Someone has to stand up to bullying. On the contrary Randy – right about now with the new baby, I could do without all this hassle. I am stuck on this because I think it is wrong that any company try to trademark a term as generic as Web 2.0 (and anything that sounds like it according to their C&D). I agree with Keith – change the name as Scoble suggests and get on back to enjoying life with your new baby. Chris, as I pointed out already – the names Robert suggested are contain the phrase Web 2.0 and therefore cannot be used (except now by IT@Cork). Pingback: Tuppenceworth.ie blog » Web 2.0 Conference- What’s A Trade Mark Worth? summer’s comimg, they just want a reason to come to the West of Ireland – do the Ring etc. I would tell them to kiss your Blarney Stone.. Web 2.0 Is not trademarked in Ireland, I suggest you go and trademark it. I think your best action with American legal posturing is inaction. CMP is entitled to attempt a global reach on the conference trade but that effort is toothless inside the EU. Effort might be better spent in focusing some of the noise generated around an alleged trademark infraction to ensuring Irish tech developers actually attend the event. Not entirely toothless. Both Ireland and the US are signatories of the Madrid Protocol. However, I very much doubt that if this went to court that CMP would have a leg to stand on seeing as (a) theyâ€™re using the mark so that their conference wonâ€™t get mixed up with others (which is what trade and service marks are for), but the conference names are different enough (sharing only the â€˜Web 2.0â€² element) that they couldnâ€™t be confused; (b) the Oâ€™Reilly /CMP conference is primarily targeted at North America, whereas the IT@Cork conference is targeted at Ireland: thereâ€™s no overlap of market; (c) Oâ€™Reilly have, through their promotion of the phrase â€˜Web 2.0â€² as a general concept, inadvertently managed to water down the brand. My gut feeling is that Tom and the rest of the IT@Cork crowd will be vindicated and that Oâ€™Reilly will come out with their credibility somewhat bruised. CMP: nobody really likes them much anyway. Give ’em hell, and don’t sign! Put up a Legal Campaign defense fund page with a Paypal account on it and ask every blogger to spread the word. You would have a $200,000 legal defense fund in about 48 hours. AND file the trademark in Ireland as was suggested above. This is hilarious. Sorry to hear that it hit at the same time as the new baby. Make your new son proud! I think that that what happens when you let lawyers deal with the event. 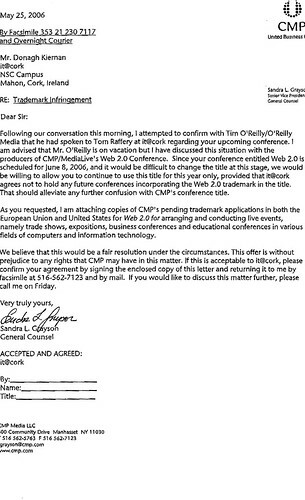 I wonder if Tim O’Reilly asked to register “Web 2.0” as a trademark. If he did, then I’ll do my best to buy books from other publishers, because he is definitely not what he makes of himself. But I am not sure he was even aware to the whole thing. After all, layers writes it. Some of them are both idiots and devilish. Actually – its me that owns the phrase Web 2.0 – and i’d like it back please! To hell with O’Reily! By all means, just call it Web 2.0.1 or something stupid like that in order to get around their BS games! Pingback: DESIGN-O-MATIC » Web 2.0 Dystopia?